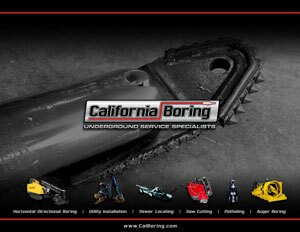 California Auger Boring (CAB) , is a subsidiary of California Boring, a successful HDD contractor in business since 1995. We are a full service auger boring contractor , signatory to the Operators Union, Local 12. Staffed with CAL OSHA Safety Representatives, Gas Testers, Certified crane operators, and welders qualified under AWS D1.1. California Auger Boring offers extensive experience in both engineering and construction phases of trenchless pipeline crossings. Implementing cost effective, reliable solutions to successfully complete projects. Our approach is simple. Quality work performed safely. On line, on task. Contracts requiring a DBE goal can be coordinated through CAB’s sister company, California Locating Services (WMBE cert # 11040132). 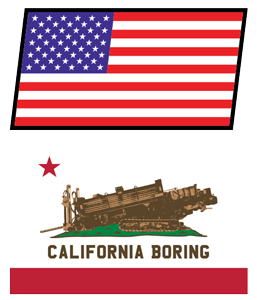 CAB is working towards a greener California and offers auger boring machines permitted through the California Air Resource Board with industry leading Tier 4 F engines.